This is an actual book that is over 600 pages long, and has been revised over the years. This material is copywrite, 1997.
and is released into the public domain. On the 2nd of August 1990, Iraq invaded the Kingdom of Kuwait. As a result of this act, and for a variety of reasons the United States with other nations sent a military force into the Persian Gulf region. These forces were sanctioned by the United Nations to restore the sovereignty and political integrity to the former government of Kuwait. This is the story of the soldiers in the 3/27th Field Artillery battalion. Here is also the only comprehensive tactical level record of the Multiple Launch Rocket System in its first combat employment as told by the soldiers who manned this weapon system. Filings with U.S. Army historical archives indicate that this is the only known tactical level unit history produced for the Persian Gulf War. Over forty interviews were taken from the people who were actually involved in the events depicted in this book. My goal has been to preserve the personal experiences of this war. These are the actual events, without fictionalizing or embellishment. The focus of this book is not on any one person, since wars aren’t fought by individuals. It is on a team of men and women as they stood together through a crisis and the tools that contributed to their success. Together, these people were a battalion that deployed, fought and returned home as a unit. And like a family, they bonded together in a way that gave this battalion its own identify and character. The value of history is that it shows us who we are. It helps us to define ourselves as a people, a culture, and a species. This is done by looking at where we have come from, and the journey we have taken to get to where we are. From out of the raw chronology of events steps the pattern of choices we have made, as contrasted with what we could have otherwise made. Once we see these patterns with understanding, it is possible to shine a light upon the opportunities of the future. Regardless of how we may feel about war, in a society such as the United States, anything that we can learn about our military institution is of no small value. For the American people, this was the first major war since the middle of the 1970s. It was the first rapid buildup of a theater size operation since the early 1950s. The battle at the Rumayalh Oil Fields and the adjacent Medina Ridge now stand as the largest armor against armor battle for Americans, since World War II. Furthermore, there were also whole host of subtle changes in the military’s doctrines, policies, and its inner working as a subculture. To show the effect of these changes on the American Army, I have chosen to focus on the human factors; the process of how, from the battalion to the individual level, these people functioned as a military entity. To these events, I am a witness; and these achievements are our legacy. The sergeant on duty stood at the front door to his barracks looking out toward Gruber Road. It was shortly after mid-night, Tuesday morning on the 7 August 1990. From the door he watched a HMMWV, one of those boxy looking military pick-up trucks speeding full out down the road. “The military police are going to crucify that guy when they catch him,” the sergeant mused, out loud. Traffic was usually dead quiet at this time of night on post. However, within the next half hour, he saw eight more speeding vehicles. Three of them were police cars with lights flashing; all of them going in different directions. “This isn't right. Something is going on around here.” Thought the sergeant, “Too many vehicles racing around, for this late at night.” Shortly, he would learn why all the activity. SGT Marc Weiler would learn, he was going to war. The barracks faces Gruber Road, a four lane boulevard that runs the length of the major combat unit commands at Fort Bragg in North Carolina. This is the home of XVIIIth Airborne Corps, and the Special Operations Command (also a corps level command). Here is also the home of the 82nd Airborne Infantry Division (abr., 82nd Abn), and the home of the Special Forces. In total over a hundred thousand soldiers, civilians and their families live and work here. This post holds the command centers that are the heart of America's rapid deployment forces. It is here at Fort Bragg that the 3rd Battalion, 27th Field Artillery Regiment (abr. 3/27th FA) is stationed. This battalion is armed with one of the Army's newest and most powerful weapons, the Multiple Launch Rocket Systems (abr., MLRS). The MLRS is a ground to ground rocket system. It can fire a rocket over 18 miles to disperse more than 600 grenade like munitions across an area larger than a football field. At full strength, the 3/27th FA has almost 500 soldiers assigned to it. 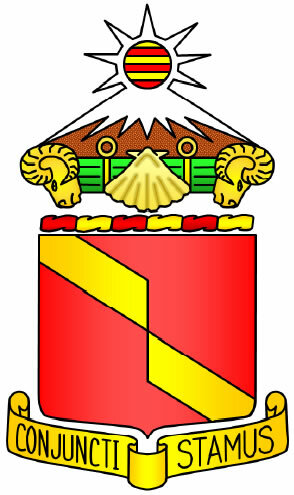 This battalion is also referred to as a regiment, because here is the home of the regimental flag for the six sister battalions of the 27th Field Artillery that are stationed around the world. The alert and deployment of the 3/27th FA to the Persian Gulf had actually begun late Monday evening on 6 August 1990. Major Leonard Finley sat in the living room of his home watching the late news on CNN. MAJ Finley was the new executive officer for the 3/27th FA. He had only just been assigned to the battalion earlier that week. Beside him sat his wife, leaning against him. Together, they sat on their sofa watching news broadcasts of the Iraqi invasion of Kuwait. Someone had made a video recording of Iraqi assault helicopters descending on the city of Kuwait while armored cars drove up to the government buildings shooting machine guns at the windows. Copies of this video had been passed to all the news services. It was now being shown regularly on the major networks. During the news segment, commentators hinted that the United States might become directly involved. They said that high level government officials were traveling to the Middle East for consultations with the Saudi Arabian and other Persian Gulf governments. It was the American government's effort to protect its oil interests from the threat of a regional conflict. News commentators were openly speculating about a possible military show of force, such as an increased naval presence. At the end of the news segment about the invasion of Kuwait, Mrs. Joanne Finley turned to her husband and asked him his thoughts. About ten minutes later, the telephone rang. MAJ Finley answered the phone, and an officer from the XVIIIth Corps, Emergency Action Center introduced himself. “Sir, how many C-5As would it take to move an MLRS battery?” he asked the major. When the Charge of Quarters got off the phone, the lieutenant immediately called his platoon sergeant, SFC Jackey D. Cockerham and told him the news. The message was the same, short and to the point. Usually, during practice alerts, the platoon sergeant had to call all the married soldiers that did not live in the billets. He would let them know about the alert. From that point everyone had one hour to be back at the billets, with full combat gear, ready to board a plane. This time the message was a little different. This alert was for officers and key NCOs only. That was different enough to tip off the lieutenant that this was not going to be a practice exercise. If an alert was being used to call in only the decision makers, it meant that right now some very important decisions had to be made. He had been following the news. He knew that Iraq's invasion of Kuwait threatened the petroleum resources in which the United States held a vested interest. He had to be cautious of whatever he did. He did not want to say the wrong thing or create a false impression. This was no time to cause a panic by voicing some unfounded speculations. He would find out what was really happening when he got to the battery. If what he had heard on the news and now this phone call was any indication, this was not a training exercise. 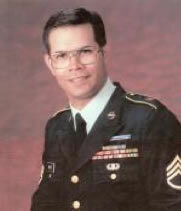 It was 0430 hours when 1SG Jon H. Cone, Alpha Battery's First Sergeant arrived at the battery. SGT Weiler had a sign-in sheet and the Alert Roster set up on the front desk. Although there was no one to sign in yet, the young sergeant on duty could see what was about to happen. Once battalion initiated an alert, it would be the Charge of Quarter's job to keep track of personnel as they reported to work. Signing in would begin once the rest of the battery started arriving. “Is the BC (Battery Commander) in, yet?” the First Sergeant asked the Charge of Quarters. “Yes, he's at battalion getting briefed.” answered the Charge of Quarters. The battery commander had been called in almost an hour earlier. Just then CPT Dwayne Smith, the battery commander walked in, “First Sergeant, let me see all the leaders and platoon sergeants in my office. Have the CQ initiate a battery wide alert and wake up the barracks.” Now began the task of to assembling the whole battery. The first formation would be held within the next hour. Alpha Battery was going to war.